Are your company's conventional media advertising strategies generating enough traffic, incoming sales calls and Internet leads? If not, it's time to review your overall advertising strategies and to start utilizing online display advertising. Unlike traditional media, you will not have to pay and then hope your advertising works. With Webxloo you will only pay for results. 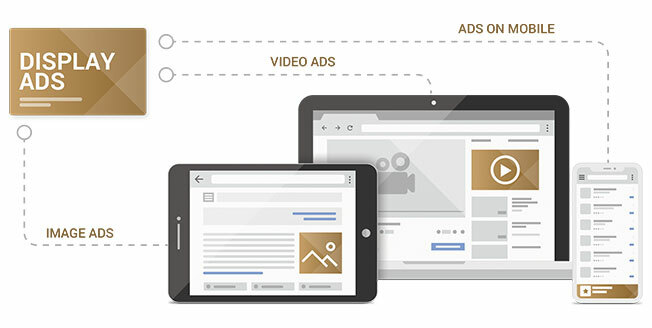 Online Display Advertising is the most popular form of advertising on the Internet. A Digital Display Ad is a graphic image or video ad displayed within multiple web sites. People are visually stimulated by photos more effectively than text. So as Digital Displays can contain rich media, they offer levels of interactivity that other forms of advertising simply cannot. You’ve definitely seen Display Ads: on banners, skyscrapers, leaderboards, buttons, inline rectangles, and squares of various sizes. Webxloo designes these cost-effective marketing tools to help you save money on advertising for your company's website. With us everyone can have a productive and highly profitable online advertising program. Using experienced and knowledgeable professionals enables you to create more consumer impact with your Digital Advertising. Webxloo is ready to distribute eye-catching design and attention-grabbing visual content for your campaign .